Project: "Sloan's Lake Fencing Project"
Description: Working with Ladies Fancywork Society, Sloan’s Lake Citizen’s Group will create yarn artwork for an unsightly fence surrounding a maintenance yard adjacent to an active sports court, seating area and pedestrian pathway around Sloan's Lake. 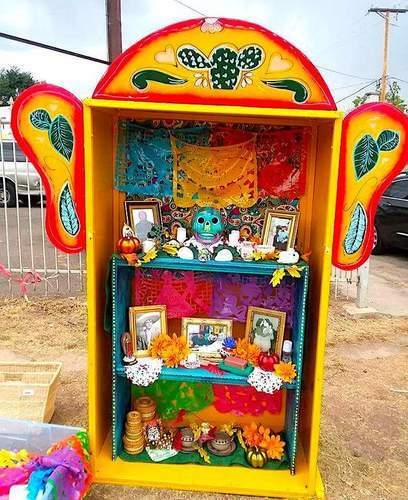 Description: The Westwood Arts District "hub" will be an artistically designed structure serving as a resource for local arts and culture information, showcasing curated themes and decorated with symbols and motifs from Latino culture. Sidewalk “paths” with stenciled symbols will lead to several local murals. Description: Birdseed Collective, with several artists and Villa Park RNO volunteers, will complete artwork along the long retaining wall of the Lakewood Gulch walking path from 10th Avenue and Osceola Street westward into the Villa Park community. Currently graffiti-filled, this highly-used path will be painted with vibrant designs and colors. Small hand-painted boulders will be placed along the path to create a safer and more colorful walkway for residents. Description: Local artist Thomas Evans has designed a color-blended public art mural that will revitalize a major drainage canal with an impactful message. "Seize the Day" will greet residents on their commute out of Montbello, and "Home Sweet Montbello" will welcome them back. Project: "CREATE New Freedom Project"
Description: Trust for Public Land will work with the East Denver community to enhance New Freedom Park, adding distinct and culturally relevant features with youth-led mural creation. Description: The Golden Triangle Creative District will create a series of artworks in the Golden Triangle assisting visitors with wayfinding and marking gateway entry and exit points. 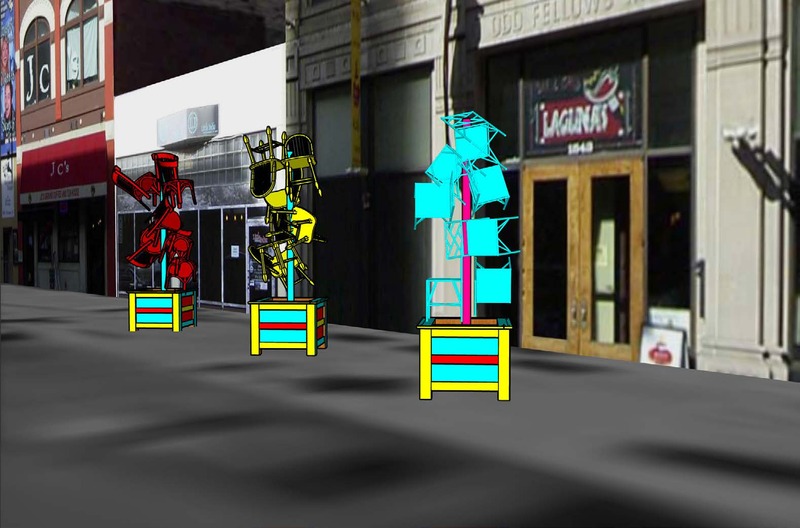 Using the 2014 Neighborhood Plan to locate sites, the Golden Triangle Creative District will work with local artists for these temporary artworks. Description: Future Seat is a three-dimensional sculptural work that uses Downtown Denver’s existing plant boxes as bases for “floating chairs.” The monument designed to encourage the community to keep looking up toward the future through environmental awareness, with the goal of making environmental improvements supported by the efforts of Downtown Denver’s Urban Tree Canopy.